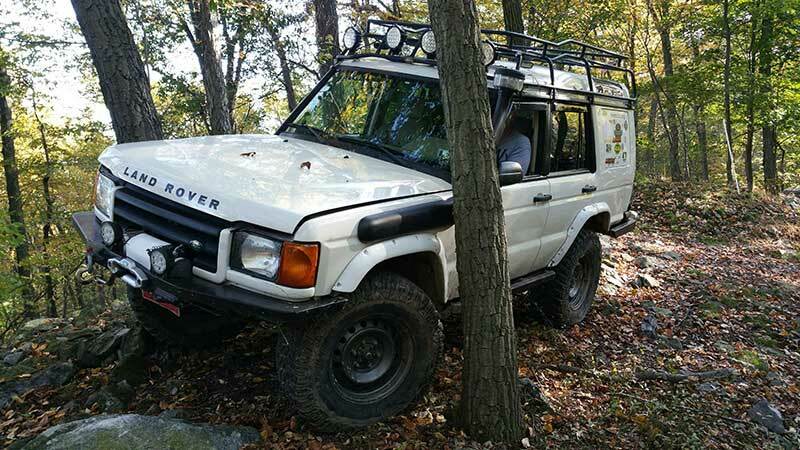 The ROVERS Club held the Fall Robesonia Trials in Pennsylvania the weekend of October 24-26, 2018, continuing a long tradition of off-road trials events in Pennsylvania. The Trials have been held in Robesonia, Pennsylvania, on the McMullan family property twice a year for many years. They are RTV (Road-Taxed Vehicle) trials, a competition popular in British Land Rover clubs that pits street-legal vehicles against each other in a test of finesse over speed. The goal is to make it through a series of gates without either touching the gates or fully stopping the vehicle. The gates are arranged in such a way that the driver may have to cross challenging terrain in a very specific way. The gates are each assigned a number, which equals the number of points you get from that leg. The last gate you clear cleanly is your score for that round, and lower scores are better. The Robesonia Trials are a weekend-long event, with the courses spread over two days. Camping is on site, and some people come for just the day. Lyle McMullen is a master at setting up diabolical courses. 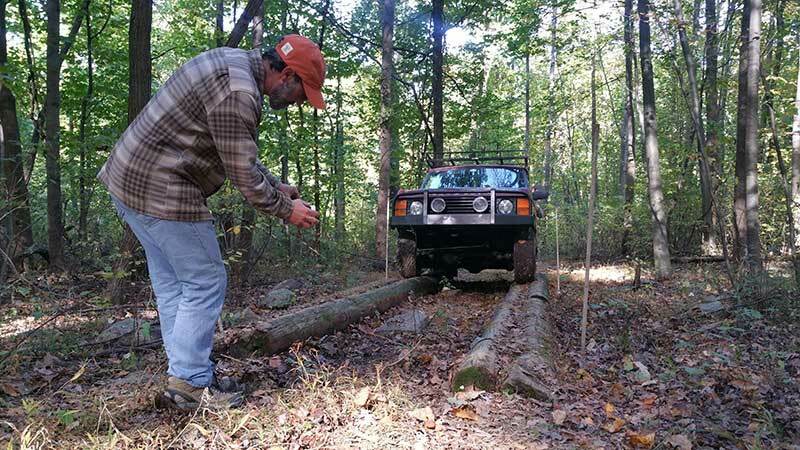 Since 80” Series I trucks run the same courses for the same glory as long-wheelbase modern vehicles, there’s a hangup point for everyone – either a tight turn a long truck has issues with or short dips and humps that shorter ones can get hung up on. Often longer vehicles are allowed one “shunt” to make a K-turn into an obstacle, but it has to be announced ahead of time to keep from ending your run on that course. The Robesonia Trials are held twice a year, in the spring and fall. Keep an eye on the ROVERS Club's Facebook and website for information on the next edition.